Graduate courses would cost high when compared to undergraduate courses and so the source of funds should be strong enough in order to supply the demand. For families that come under the upper class or those whose families earn a lot of money need not worry about the source of their funds. 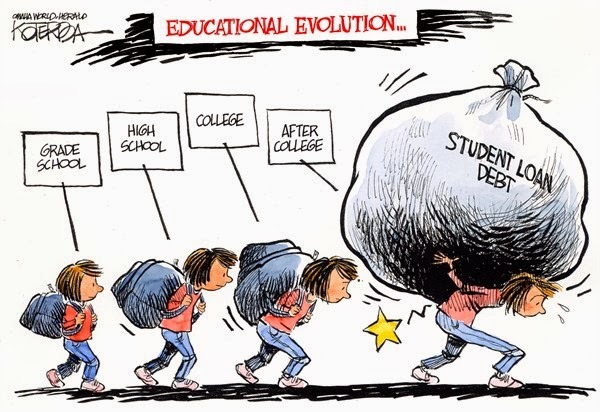 But those families who would not be able to pay for their child’s education are the ones that would have no other better option other than opting for a student loan program. No matter what the type of education the student is going to pursue, there are two different types of loans offered for a student and they include the federal student loan programs and alternative private student loan. Federal student loan, as most of you would be familiar with, is a better option and probably the best student loan compared to other types of loan. Amongst the different types of federal student loans, one of the best and eligible loan programs for a graduate student is the unsubsidized Stafford loan. An unsubsidized Stafford loan is available for both undergraduate and graduate students, but it is mainly formed towards offering financial assistance for graduate courses. Unsubsidized Stafford loan would offer the loan amount based on the tuition fees of the course. The student would be able to manage his or her tuition fee using this loan program and other expenses would have to be managed by them from their own pocket. As with any other federal student loan, the rate of interest charged on the loan would be lower. The federal government governs the operation of this loan and that is the reason for so many benefits. Interest rate charged on the loan at the time of schooling would be summed up and added to the principal loan amount. There is no exemption for graduate students, unlike a subsidized Stafford loan of undergraduate students wherein the interest rate charged during schooling would be paid by the federal government. One key benefit of a federal student loan is that, the borrower has an option to go for a deferment period stating unemployment or financial stress reasons. During this deferment period, the borrower need not make any monthly repayments and the repayment period would be postponed. This would help the person to recover from a bad financial status. Private student loan is considered to be a high risk move and yes it is due to the high interest rate charged on the loan. One main advantage of an alternative private student loan is that, it would provide higher loan amount and so the person would be able to manage their tuition fee and other costs such as books, computer or laptops, transportation, food etc. A good credit score or a cosigner with a good financial background is necessary to obtain this loan. High interest rate would be charged and there is no provision for opting for a deferment period or any such repayment extension, the terms would be very strict.